I have the unique ability to genuinely not care what people say to me, or think about me, but motherhood means you can be a little more sensitive than usual so taking care about what you say can only be a good thing. If it wasn’t obvious, this list is for a laugh but every joke is laced with some sort of hidden truth so…. – Is she sleeping through yet? – Have you tried sleeping while the baby sleeps? – My friends, cousins, bosses, dog walker did this with their baby… You should try it too! – What’s wrong with him? Why does he cry so much? – Oh I’ll just wake the baby for a quick cuddle.. It’ll be fine! – She’s crying, I think she’s hungry! 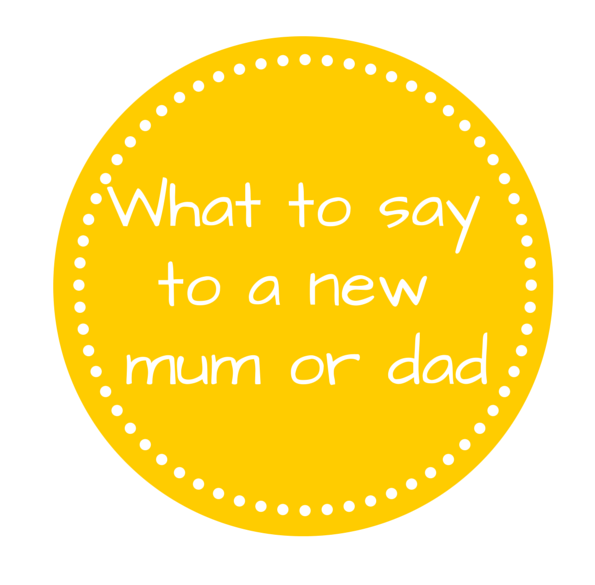 – So when are you having your next baby? – When are you going back to work? – You’re doing a great job!! You’re simply amazing! – Meh, sleep is overrated, you’re amazing! – Can I help you with the dishes/washing/vacuuming while you go about being amazing? – Did you know that powerful world leaders survive on less than 8 hours sleep too? So you’re as amazing as them, if not more so!! – Trust that your baby will sleep through eventually, then they’ll be teenagers who won’t get out of bed for love nor money and you won’t know what’s worst!! Oh and by the way, you’re amazing! – Do whatever feels right to you, and screw everyone else. You’re amazing! – Baby just did a poo-splosion? Let me take care of that for you..! – I totally feel you (on whatever you just complained about)! What did people say to you that annoyed you? And what were the lovely things people said to you? entirely, except this piece of writing gives good understanding yet.